Thank you for visiting my blog and liking it. Please read through my other posts too. That sounds like the perfect “connect the dots in countless ways”. Reality is an illusion; everything is maya. I mean you probably found a logic that proves that, which makes your answer correct, but that is not the logic I got. and then 21, which means 1+1=2 and following the pattern in which the numbers were arranged, I brought down the 1 from the first line. After that, as per the arrangement of the numbers i.e. 132112, then, I concluded that it is 1+3=4 and reversed the numbers 32112, that’s how I got 421123. I tried horizontal logic and did not get the pattern. Then I started reading them vertically. I got 112131, 11213, 112, 121, 1, 2.
and so added the last line 411321 to match the pattern. Very cool post. When I read about the dots, and what you see, I was thinking just yesterday, about a student and his teacher and the teacher asked what the student saw (a bird flying in the sky), and the student said a bird, and the teacher said, don’t overlook seeing the sky…really appreciate your writings. We often don’t see the sky because we are not present enough. I love how you discussed this mind-bending idea through dialogue. It’s a very effective method that reminds me of stories in the Bible and other religious texts that use dialogue to teach a lesson. Thank you for visiting my blog and Liking my post about Sci-Fi inspirations! I do hope you will come back again soon. Only if it looks like a duck, walks like a duck AND quacks like a duck – is it a duck. Nice post, your riddle reminds me of Fibonacci’s sequence, will your next post be about how the brain likes patterns? This ‘being programmed to connect-the-dots’ in a particular way is a great way to look at our mental habits. I’ve always had trouble seeing the constellations in the sky — because i cannot accept the “programming”?? Constellations, yes, I can’t see them either. There are only a couple of them that I “get” — I’ve always wondered: a crab? a virgin?? PLZ come back again, because the answer for what youv’e just said will be given in DUCK #2. Absolutely awesome post! Much of my research at university is focused on creativity, and I love the inner processes that make the mind creative. The “connect the dots” metaphor is perfect for life: no solution is ever the “best” or “final” solution; there are a million different ways you can innovate on the same thing. Can’t wait to read the rest of the series! 10x for that kind reply. #2 is soon to come. I think that the best thing is blog on whatever you are passionate about. The results are always great. Your heart and creativity will open up, which will bring lots of satisfaction into your life. Haha! Wow! You really had me thinking. Awesome connect-the-dots piece..I love it. I’m waiting for the #2. Haha. The same principle of the lines would also apply to the dots and the voice! There is no “right” or “wrong” answer only a challenge to thought to construct what does not exist. A wonderful challenge to the questioning mind to enquire into the existence of “reality”! Awesome, and I am yet to read your answer! I have many perceptions..like the fact that I kNOW sock gnomes exist..if those dang underwear gnomes exist their cousins the sock gnomes do as well! I truly don’t know anything about how the autism mind works. I do know that they are extremly special beings, and are a great gift to our world. I also think that autism is also misinterpreted by society (Is there such a word, misinterpreted??) as something that should be avoided. This autism mom LOVED your comment! My son’s mind is precious to me. Well thank you mam!!!!! I appreciate it!!! I linked back to your blog. Thanks for the inspiring words! A great post that generated a great dialogue. And… thanks for visiting my blog and liking my posts! Each sequence after the first describes the previous sequence. A) Look at the left most unmarked digit, count the unmarked occurrences of this digit in the sequence. C) Write down the occurrences of digit then the digit it self. D) Are any unmarked digits to the right of the current digit? 311322 continuing on I get…. Of course other logical sequences could have produced this pattern, but this is one that works for this example. OMG dude! … I just didn’t even bother to try and figure it out and you came up with all that. WOW. I’ve never been good at that kind of thinking…but I see it now that you explained it. If you have gotten really excited about this number sequence, you might find that if you follow it another 8+ steps you will see it begin to repeat 2 different (but similar) number sequences. Let me know if i made a mistake. I very much enjoyed the connect the dots theory though. I didn’t mind expending energy thinking about that one. Look forward to more. Did u read the next one? I think it does continue forever in this alternating pattern. If I got serious about it, I could write a program to construct the sequence and see what it produced. But as soon as the sequence reaches the number 23322114 it’s going to start a repeating pair of numbers. It’s interesting that a sequence that seems to have limitless potential can collapse into a stable oscillation. I hadn’t read duck #2 when i answered the puzzle, but i think from memory a similar puzzle might have been in a programming text book i read a fragment of many years ago. This blogger came to my site and enlightened me! The answer is 42 or Elvis… or whatever you want it to be if you’re meant to follow the logic of the post. Reminds me of The Cat in the Hat totally zany – like the Cat in the Hat’s inventory system. interesting read and a very interesting theory! This is definitely food for thought! Thank you for visiting my blog – I hope to see you there again soon! Hey there! Thanks for stopping by my page. I like your dots. Kinda reminds me of those pictures that are of two things and some people see only one while others can see both. The next number is simply what you see. So starting with a 1, you have one 1. Then one two and one one. then 3 1s, 2 2s, and 1 1. It is interesting how the mind works. Interesting post! As we mature in life, we are given beliefs and perceptions that things are supposed to be a certain way. Some of these perceptions trap our imagination, making us think that there are no alternatives in solving certain situations. Your post makes people realize that there may be better ways to get around problems. It was a nice way to present the idea. Ok. I’m starting to get that “it’s all about disbelieving your thoughts” thing. Huh. 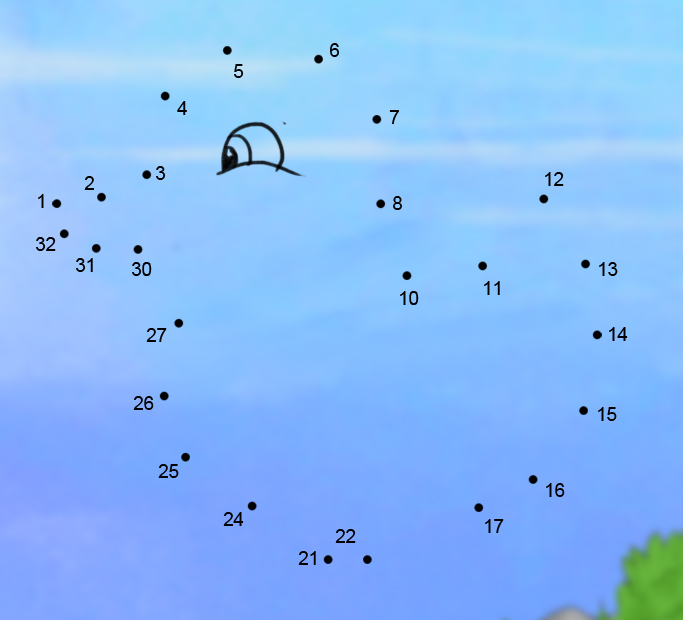 In all of my life I would never have thought to question the design of connect-the-dots. I remember my mother telling me just how important it was to follow the order of the dots and how, if I didn’t, I wouldn’t be able see the image. Who knew that there was more than one picture to create? 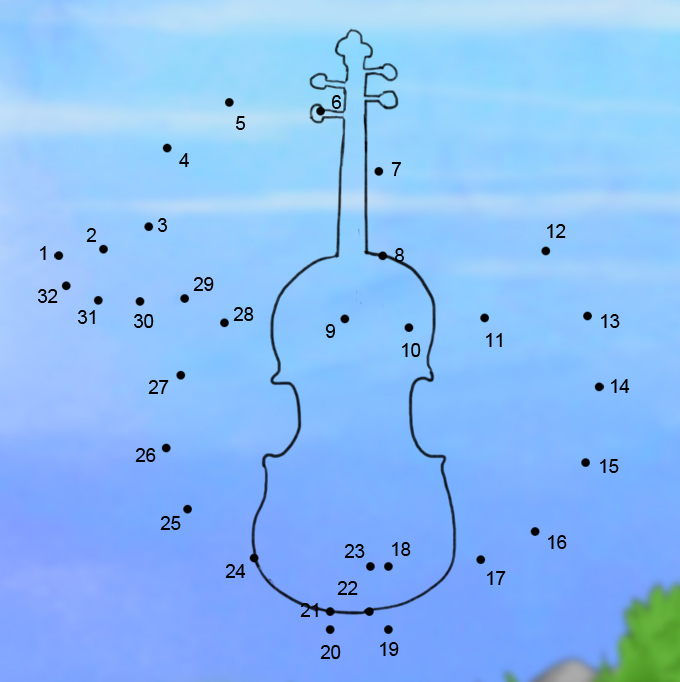 I will never see a connect-the-dots picture the same way again…thanks for this post, very interesting to read! Thank you also for liking a post on my blog, I really appreciate it. Have a great day!! But hey, it was fun trying, and thank you for visiting me today! The initial duck accusation is hilarious. Hey, pretty interesting. Staying tuned. Hi, I love this, although, did you really tell this random stranger he looked like a duck! I know what you mean about being conditioned to see particular things so much so we sometimes overlook others truths and realities. I guess truth is there are many different truths and realities. Take religion for example. I look forward to reading more. I’m glad you enjoyed my post for new book Mr Wrong- Chapter 2-Start With You. Please stay posted for more posts (couldn’t help the pun.) I’d live to get a male perspective. I really didn’t see that coming. 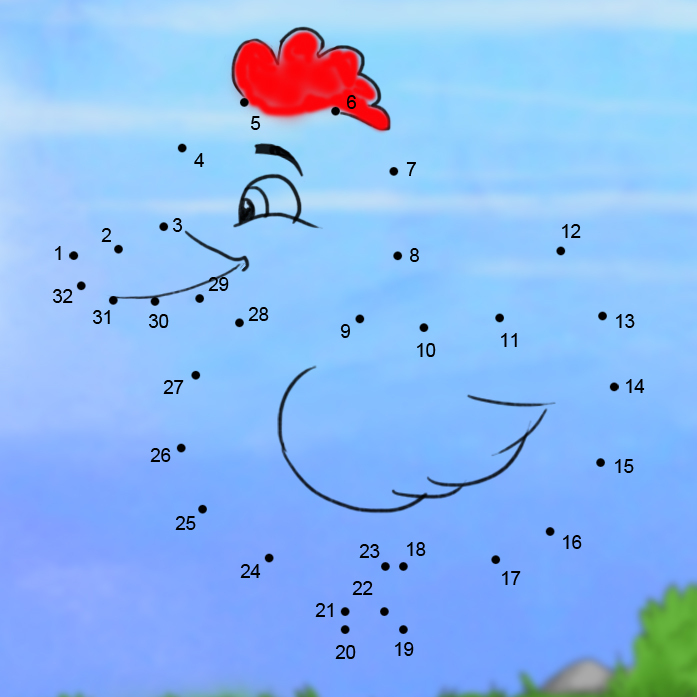 I second Jademwong – i’ll never see dot pics the simple way I once did. That is so neat. Its all very cultural dependent as well, I suppose – and what we see is based on our schema. Brilliant. In reality, are there any people? We must kill the duck! Thanks for visiting my blog and liking it! Working in realms of breaking down “conditioned” thoughts, I am glad you appreciated it. Obviously, I like the thoughts evoked in this blog as well. Cheers! It’s so true. It’s like when you’re proofreading and there’s a little pronoun or something missing, but your brain fills it in when you read through it because it expects it to be there. Very well said. liking your thoughts:-) Pretty cool–all you’ve done and been through. Kudos for you for not following a prescribed path. Thanks for stopping by foodforfun’s rock star food post. Cheers to you! Thank you for liking my blog. Your’s is very interesting! Theories of how the human mind works has always intrigued me; I will be sure to read your blogs! Loving this! In my country, the education system is about Maths, Sciences and Languages. And people are conditioned from young to excel in those subjects in order to have a good career ahead of them. Also, I had a hard time trying to access your blog and no regret 😀 It is really awesome and your posts are really meaningful ❤ I love this very much. …And let me guess, you always loved to color outside the lines in elementary school? Keep up the creativity! … and your puzzle drove me quackers~! Really interesting thoughts here and the connect the dots … will never see them the same way again! It may be true that nothing follows a straight line in nature (I haven’t verified with peer reviewed math journals) but some things do make sine waves. Snakes in the desert sand make perfect sine waves for example. Or cosine if you want to look at it differently. Reblogged this on Aron’s Blog. Okay – this is interesting. This was beautiful. I’m glad you dropped by on my post prompting me to land here. Following your blog… more power to you pen. Excellent post! I think we are creators of our own reality and we see it as such. The obvious becomes vicious if we follow certain patterns foreign to our mind. What you believe is your own truth without a shadow of doubt and so this raddled puzzle becomes even more interesting when you slow down time and take it into the quantum. there is where we will see that the creative process has infinite outcome and infinite possibilities! But isn’t it exactly what makes us humans compared to animals? OF course it is our belief. Of course we humans have expressed the idea that between 2 points, one and only only one line goes through (all lines are straight, by our human definition). And of course our brains see a duck because it is logical: we see dots, we see numbers, and our brain is automatically put everything in order. However, I see your point: your message is to look at things differently, with our own eyes and sensibility. Not take everything for granted. Look outside of the box. I totally get it. You might enjoy this story – I was at a local day-long meditation retreat deciding where to sit & chose the right side of the room so I could look out the window. After sitting, I learned we were facing out which meant I got to face the wall! After laughing at myself, I noticed the paneling and, wondering why I found it ugly and the outside pretty, realized that there are no straight lines in nature (as there was in the paneling). Took a bit longer than this, but I came to realize why geometry is sacred. It’s the a priori thought that creates our world. We live in lines when none truly exist. I like your story about it. It’s a difficult thing to explain unless you have that type of experience. Math of any kind is way over my head! I gave this to my genius grandson, who figured out his answer and is still trying to explain it to me! Thanks for liking my first ever post. I am feeling so good after reading your blog. All your posts are good and eye-opening. I always believed in my thoughts that yes I can do it. But now I have started disbelieving my thoughts, but still feel that yes I can do it and there are different routes to do it. It may not be a straight line but connecting different dots in a different way. Can I reblog your post? I am wondering now why you have been brought into my life at this point in time. There are no coincidences. Thanks for liking “Ding-Dong.” Happy holidays! Well, dear Bloger, first and foremost it was very nice to find out that you’re a violinist; cuz I’m a violinist as well. So… I read this post and it was very interesting, but do you believe that I am afraid to listen to my heart? Most of time I try to listen to my thoughts. I am really confused, when people says listen to your heart, I remember listen to your love, listen to your deepest feelings… that’s what I am afraid of. But thanks you very much your posts, they’ve helped me a lot. It is really nice effort and wonderful recommendation.my question is that listenig to heart every time will lead us to right decision every time ???? whoops. I meant to comment on intuitive writing. Don’t know how that happened. lol…sorry. How liberating to be made to realize again and again that our world is only as big or as small as we think — that we are in control of our thoughts and therefore in control of our world! And this is only my first step into your thoughts! Bravo! Can’t wait to read Duck 2, Duck 2, and more. Thank you also for liking some of my posts at aapatawaran.com. Looking forward to a great deal of exchange with you. This is wonderful. So helpful. Overcoming barriers is a good post for the beginning of the year. If we don’t have any on 1/1 we will probably have one before 1/31. Incidentally, so glad you liked A New Year’s Maid on Paper Mud and Me. – HAPPY NEW YEAR! Interesting post – thanks too for visiting my blog. Big smile on my face that I stumbled upon your blog and then found this wonderful story. Thanks for sharing your Light! Extremely thought provoking. Possibly too much to read on a Friday night after a long day at work and school but nonetheless quite interesting. I’ll have to reflect on this when I’m not half asleep. Thanks for the brain teaser. I’m so glad that you posted this, and that I read it tonight. I never thought about the ‘there are no straight lines’ .. that’s just what we perceive. Stop talking to ducks!! Lol love the post! This would have been a no-brainer for my Dad, but I’m a certified math-phobe. Intriguing post nevertheless. Cool post! Looking forward to the others.